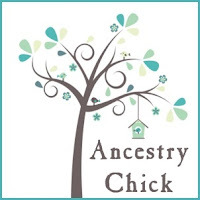 For this week's Wednesday's Child, I am featuring the ancestor that my maternal grandmother, Della Maxine Kephart, considered to be her guardian angel. It was her brother, Jerry Hollister Kephart, who was nicknamed Hollis. Jerry was born to John Arthur and Della Mae (Swinford) Kephart on October 23, 1925 in Wellston, Oklahoma. His middle name, Hollister, was likely given to him after his great grandfather, Isaac Hollister Templeton (his paternal grandmother's father). I'm not sure if the name Jerry was after someone else, or just a name that my great grandparents liked. Sadly, Hollis would live only 2 years, passing away on December 19, 1927. Family history says that he died as a result of multiple bee stings. 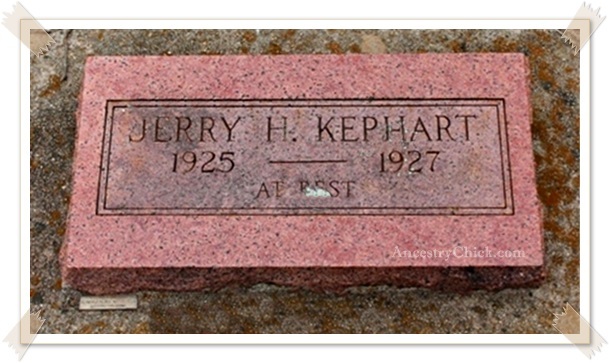 He is buried in Wellston Cemetery in Wellston, OK. 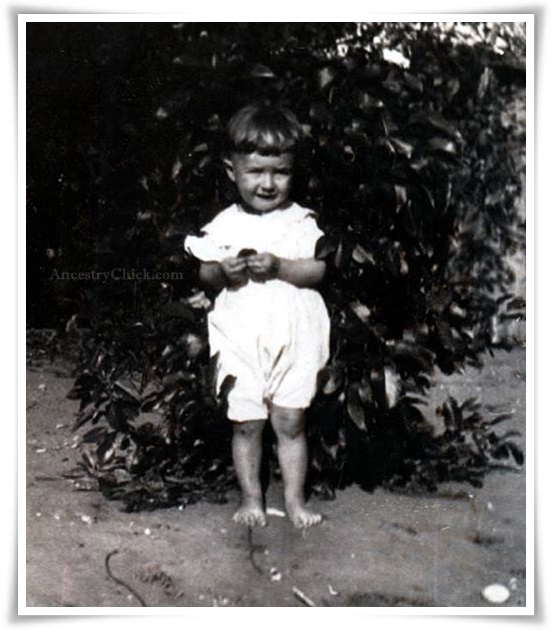 I imagine that the above photo was likely taken not long before he died, because he looks to be about two years old here. My grandmother always had that photo of him in her home, and she treasured it.